Blessed with a confluence of natural factors, Chêne Bleu has the benefit of an exceptional location, multifaceted geology, and a southern Rhône climate with soils more typical of the northern Rhône. Isolated and protected, high in a mountain saddle, Chêne Bleu has its provenance in a unique, four-corner borderland of the département of Vaucluse in the southern Rhône, where the boundaries of Gigondas, Côtes du Ventoux, Côtes du Rhône and Séguret come together. This area is located in the foothills of Mont Ventoux, 550 to 630 meters (1,800 to 2,000 feet) above sea level, on the northern slopes of a spectacular limestone outcropping known as the Dentelles de Montmirail (from the Latin “Mons Mirabilis, meaning “Lace of Marvelous Mountains”). It enjoys an exceptional terroir due to this pristine, remote location and its complex geology, with many exposed strata of rock. The 135-hectare (340-acre) estate has existed since the ninth century and was christened “La Verrière,” or “The Glassmaking Workshop,” in 1427 by Aliot de Montvin, an artisan glassblower of noble birth. The estate is surrounded by forests, hills and valleys in spectacular isolation that, in conjunction with its elevation, create a unique microterroir. 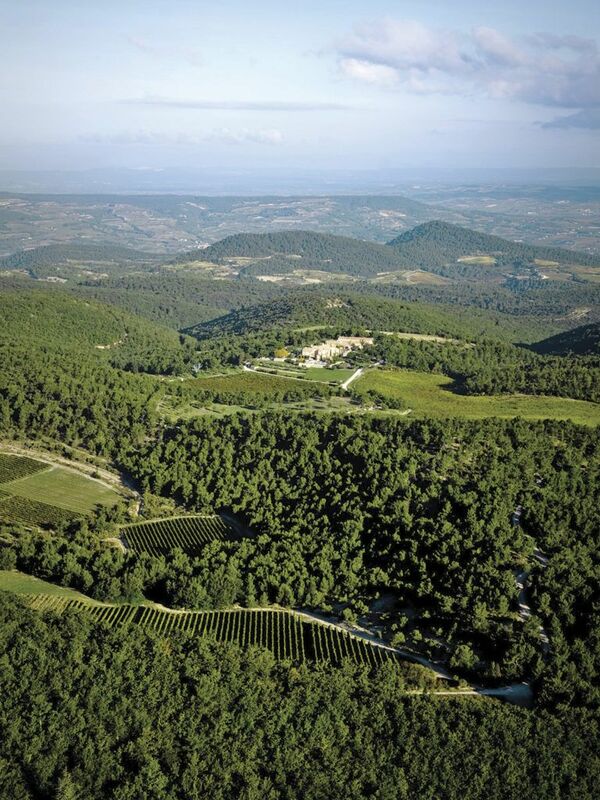 In fact, Chêne Bleu is located within the UNESCO-designated Mont Ventoux Biosphere Reserve, an 81,000-hectare (more than 200,000 acres) nature preserve with its own microclimate that has been set aside in recognition of its diversity of flora and fauna. A working vineyard since the Middle Ages, the vines had not been tended during the past 50 years. The vineyard plots are planted on the slopes of the Dentelles and total 35 hectares (87 acres). Chêne Bleu is one of the highest vineyards in the entire region, and this altitude provides essential temperature variations between day and night, allowing the grapes to ripen more slowly and preserving acidity in the cool nights. Harvest can be up to five weeks later than in the valleys below. Being so far south, on the same latitude as Gigondas, there are more than 300 sunny days in the year to ensure the grapes’ physiological ripeness, while the altitude and geology assure acidity and freshness. This results in wines that have the aromas and flavors of the southern Rhône, the finesse of the northern Rhône and the aging potential the region’s finest AOCs. 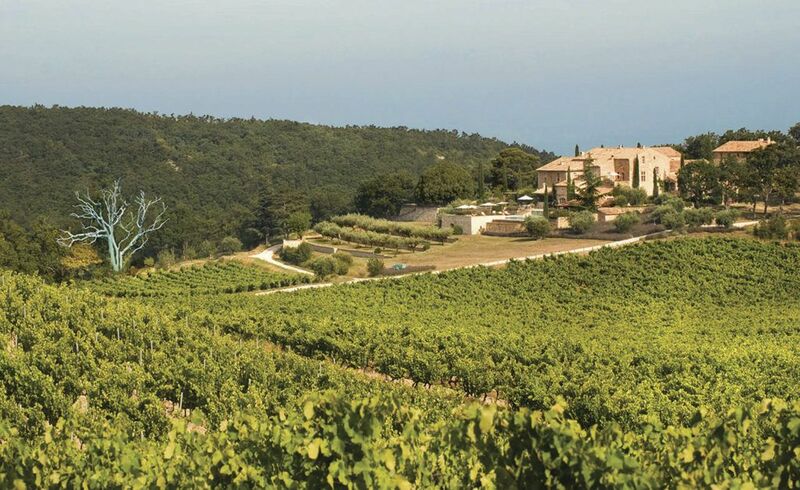 Xavier and Nicole Rolet purchased the property in 1993, enchanted by the secluded location of the vineyard and the history of the ancient priory that had been built nearly 1,000 years ago. The estate had been abandoned for much of the previous century, and the buildings were in ruins. The Rolets became completely passionate about every aspect of the place and the project, determined to do absolutely everything necessary to bring it to the highest possible world standards. A decade of meticulous work was required to restore the priory and nurture the neglected vineyards back to health. With time, each small improvement in the vineyard was seen to be rewarded ten-fold with qualitative results, and expert advisors became extremely excited about the potential for the estate to produce “premier cru” calibre wines. The project evolved into a full-fledged winemaking endeavor that entailed reviving and replanting the vineyards, building a state-of-the-art multi-level winery and converting to biodynamic viticulture. 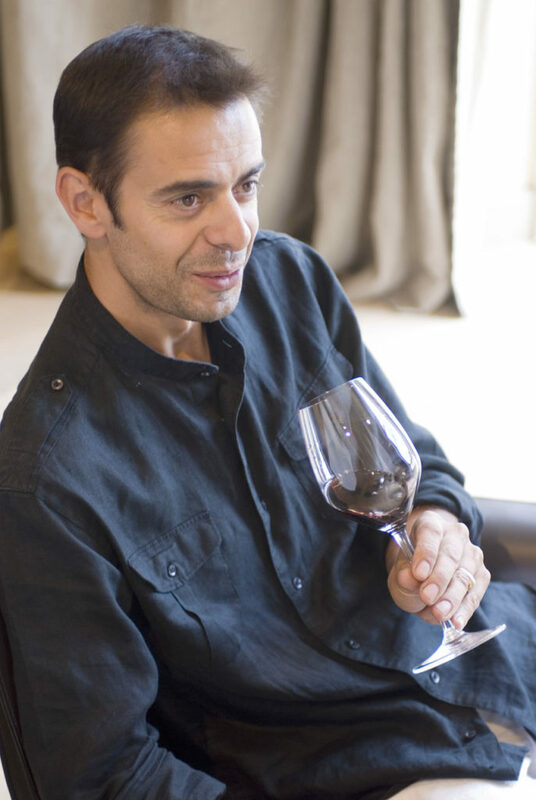 Fortunately, much of Xavier’s family was involved in winemaking, and his sister Bénédicte Gallucci and brother-in-law Jean-Louis Gallucci joined the team as viticulturist and cellar master/winemaker, respectively. 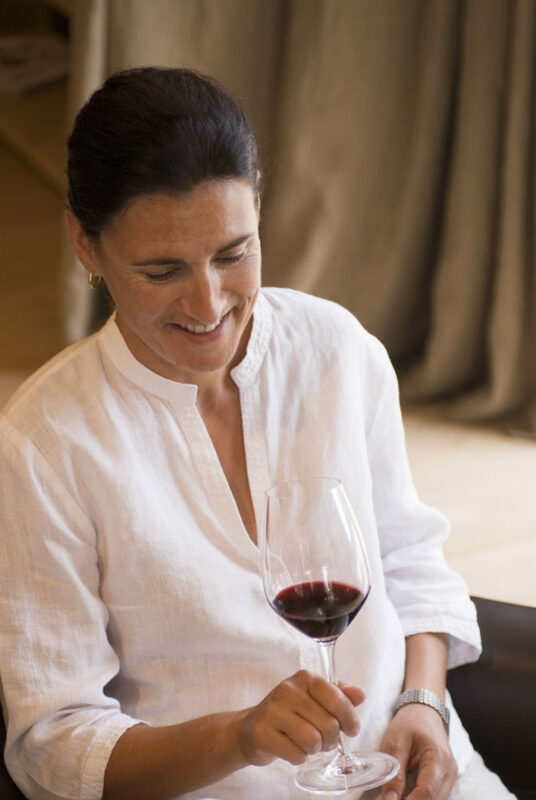 Encouraged by some of the top oenological talent in the world, Chêne Bleu released its first vintage in 2006. As the vineyards began to thrive and the family realized the extraordinary potential of their terroir, they were driven to build a winery worthy of the commitment they had already made to the grapes. A state-of-the-art winery was essential, so for several years Xavier and Nicole visited some of the most impressive and advanced wineries in the world, consulted advisors, and studied equipment and construction plans. They then designed and equipped a winery to be built on four levels. Vineyards had been planted as early as the ninth century on these slopes of the Dentelles de Montmirail. The architecture of the main building indicates that the oldest sections also date back to the ninth century. The earliest written records refer to 1026, when it was used as a farming priory that depended on the nearby Abbaye de Prebayon. Later, it was taken over by the local chapter of the Knights Templar, as it had a desirable confluence of objective merits, such as fertile land and protection from the elements and enemies. Ideally situated on a high, defensible plateau, the Knights could patrol the valley below. The Knights Templar were also known for choosing locations where celestial and terrestrial energy would converge and hold the Heavens and the Earth together. The intervening history is largely unrecorded, as the property was abandoned and left in ruins due to conflicting inheritance claims. At one point, Prince Charles of Wales expressed an interest in purchasing the property, which he painted in a charming watercolor. 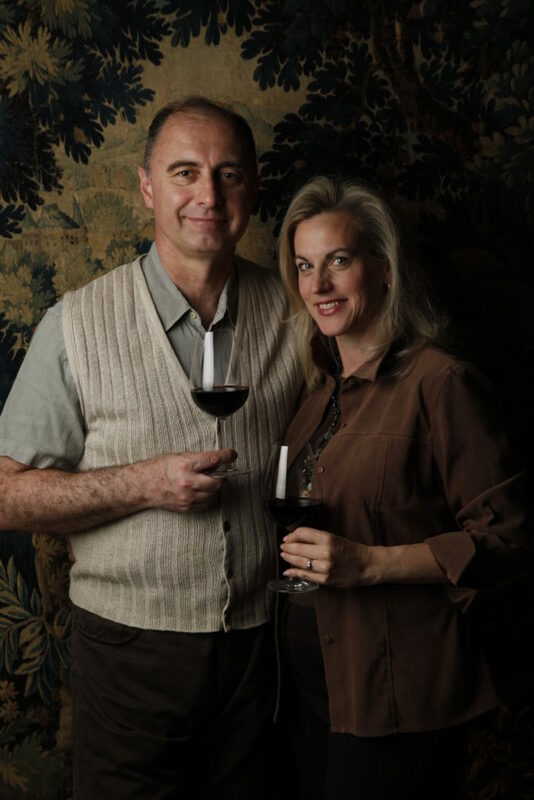 In 1993, Xavier and Nicole Rolet purchased the estate, by this time in a state of complete dilapidation. The restoration and renovation of the buildings and grounds took more than a decade, as the work was painstakingly done, with every attempt made to preserve the historical structures and recreate the self-sustainable ecosystem that had existed on the site since the Middle Ages. The estate is surrounded by forests, hills and valleys in spectacular isolation that, in conjunction with its elevation, create a unique microclimate. In fact, Chêne Bleu is located within the UNESCO-designated Mont Ventoux Biosphere Reserve, an 81,000-hectare (more than 200,000 acres) nature preserve that has been set aside in recognition of its diversity of flora and fauna and as a bird sanctuary. 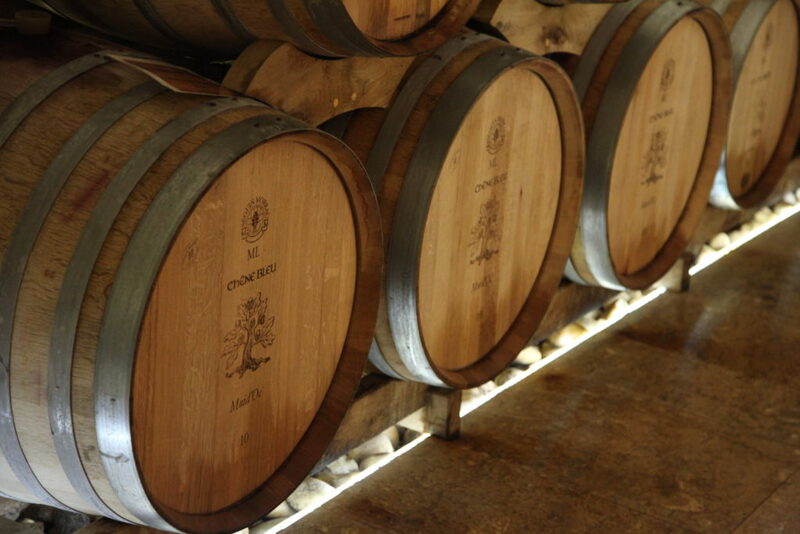 Chêne Bleu is named for a magnificent, centuries-old oak tree growing at the edge of La Verrière’s 105-hectare (260-acre) forest and presiding regally over the vineyards, forest and medieval priory for hundreds of years. During the terrible drought of 2005, this mighty oak suffered dreadfully, but it was transformed by a world-famous Provençal tree sculptor named Marc Nucera. Marc protected and preserved the majestic oak tree by treating its branches with bouillie bordelaise, the blue-green solution used to protect organic vineyards worldwide. The blue oak became an arresting piece of natural art and a fitting metaphor for the Rolet family’s values. 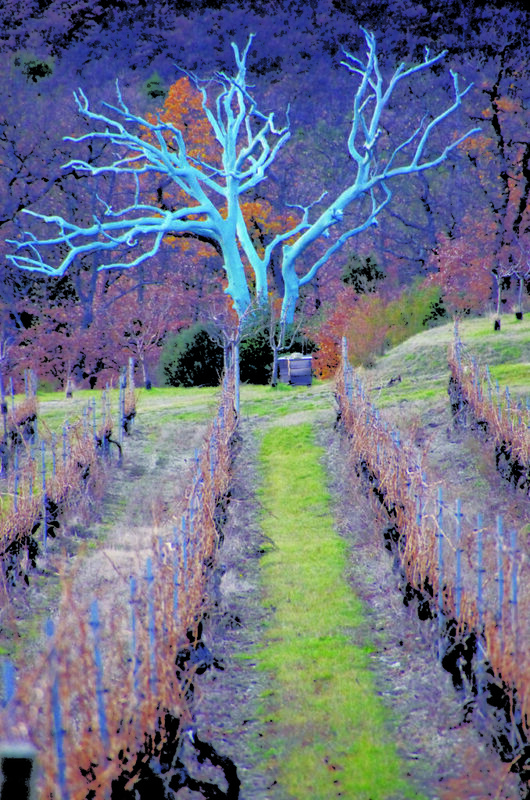 As they strive to preserve the integrity, beauty and history of the estate, while bringing to light the exceptional qualities and character of the wines from this remarkable terroir, the “chêne bleu” stands as a fitting symbol of their endurance in the face of difficulties, their high-minded ideals and inspiring goals for preservation, exceptional quality and sustainable living.